LMAC Photography specializes in Fine Art photos and prints. Fine Art photos begin with a concept and then special attention is paid to the photo editing to make the photo stand out. Fine Art sessions are often stylized as you see in this photograph. Special attention is paid to location, photo content. color, wardrobe, and concept. This is from a fine art maternity shoot photographed at the Brecksville Reservatiion in Brecksville, Ohio, The Brecksville Reservation is one of our favorite outdoor photo locations due to its versatility in background. It features beautiful fields, bridges, and nature trails. It is a federal park. 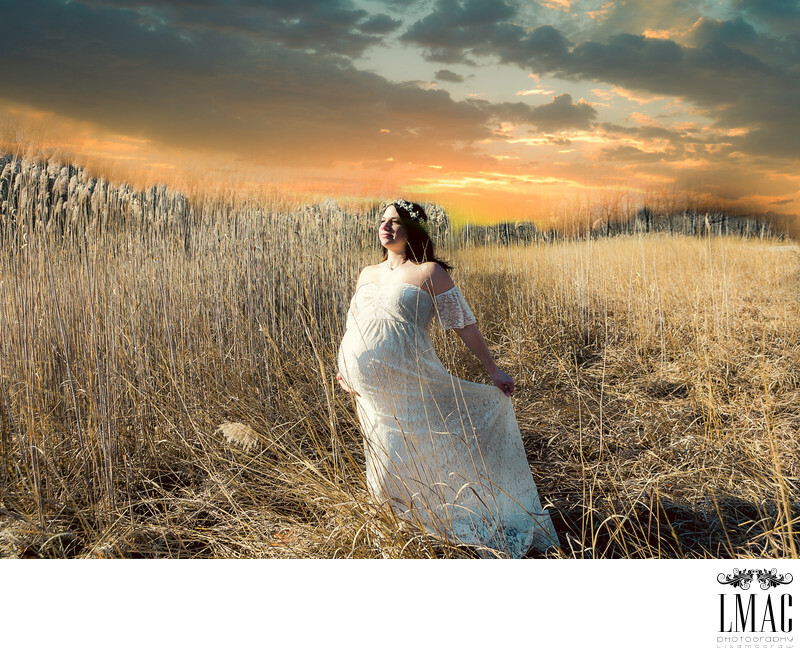 Maternity shoots are a wonderful way to document the first step in a Mom's life...LMAC photographs many maternity shoots.